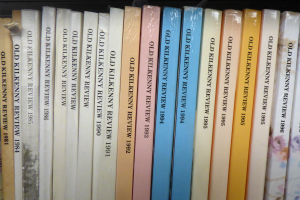 Kilkenny Archaeological Society has published an annual journal, Old Kilkenny Review, since 1948. Papers of historical and archaeological interest, together with book reviews, the Proceedings of the Society, and obituaries are included. The journal is issued free to members.